RUCKUS, a part of BROCADE, today announced its fourth generation wall-mounted access point (AP) designed to provide hotel guests with fast, reliable Wi-Fi. The RUCKUS H320 all-in-one AP and switch features the latest 802.11ac Wave 2 technology, enabling guests to simultaneously connect multiple devices to hotel Wi-Fi networks. The AP also allows property managers to connect wired devices such as VoIP telephones and IP-ready televisions without dedicated per-device cabling. Designed for deployment in every hotel room, the H320 AP delivers the required quality of service (QoS) to meet guest requirements for high-performing Wi-Fi to support their business and personal needs. Ruckus offers an industry-leading portfolio of in-room, wall-mounted, all-in-one APs and switches. The addition of the H320 AP rounds out a complete suite of wall-mounted devices that fit into any hospitality environment. The H320 AP is a cost-effective alternative to the full-featured, IoT-ready H510 AP and the DOCSIS-enabled, wall-mounted C110 AP and switch for use in hotels where only coax is available. The H320 AP and switch is based on the 802.11ac Wave 2 technology—the highest-performance Wi-Fi standard—to satisfy steadily increasing in-room bandwidth requirements. 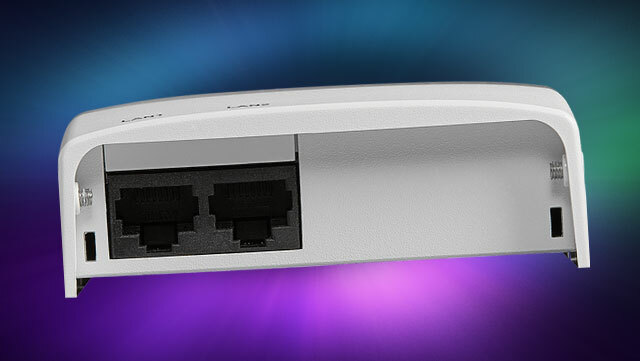 It includes two fast Ethernet ports to enable connectivity for any wired in-room IP device, including IPTV, VoIP phones and IP cameras. Ruckus will be showcasing the new offering in booth 1829 at the Hospitality Industry Technology Exposition and Conference (HITEC) in Toronto, June 26-29, 2017. Visit RUCKUS AT HITEC to learn more.